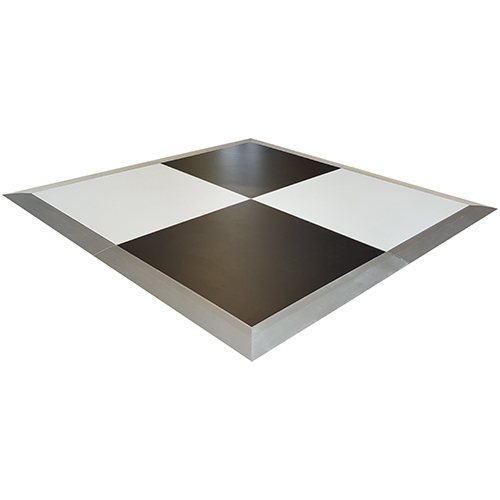 Create a checkered look, white with a black border, black with a white border, stripes - be creative! 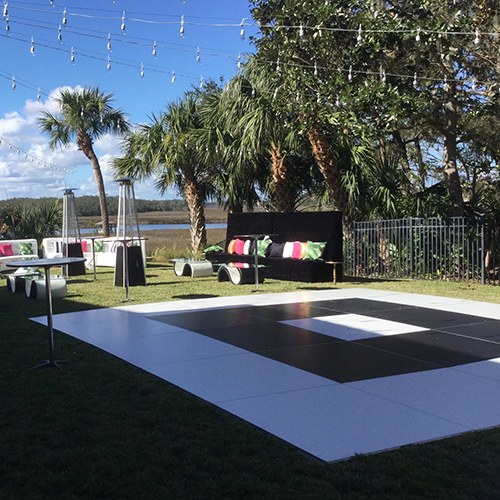 This dance floor also works great for a ground-level stage and runway! 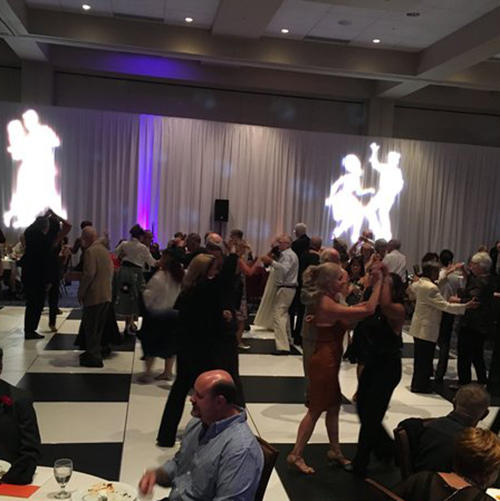 Approximately 30%-50% of the total number of guests will be on the dance floor at any given time. 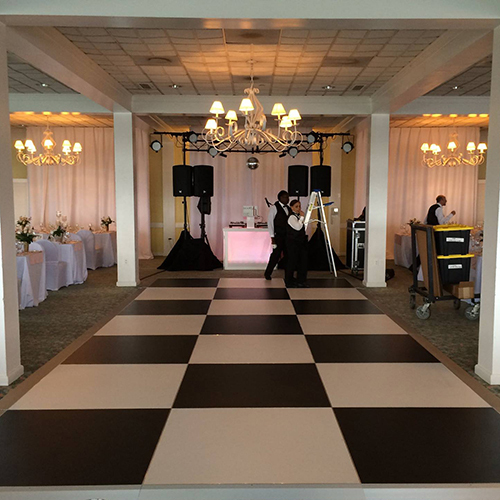 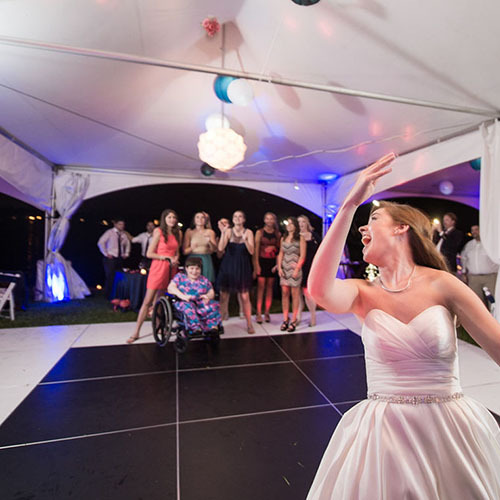 Listed below are our most common dance floor sizes.